My Life without internet was much different from what it is now . With toddlers a Mom finds it too difficult to continue a job or even get some Me Time. So life that time was just cooking and looking after kids . When they started going to school , Finally I got some free time . Started doing Home Tutions that time , Teaching Maths to high school students . Then after many request from my school friends ( who were asking me join Facebook since long ) . I finally decided to make a Facebook account . I joined facebook and immediately got connected with a long list of friends and cousins . It was an Awesome Feeling as I was missing it post marriage . My School friends , Cousins all in different cities and countries . With in a short span of time , I was connected with almost all . It was nice to see them after a long time , Happy with their new families ( after marriage ) . Many of them asked my new telephone number so that they could talk to me. Felt good talking with my school friends after a long gap. So Internet helped me to get connected with my Long Lost Friends & Cousins . The Next big thing that happened was I started Looking for Work from Home options . As I knew it’s to difficult for me to go out and work because of the work pressure I had at home. After searching and trying few things I finally understood that I can write well , So started writing reviews on various sites like Mouthshut.com , my earning was good and I was happy . And some three years back I started this blog . Initially it was difficult as I had no body to help or guide , but slowly I picked up everything , Learned Tips & Tricks of Blogging after doing good research on other’s blog and Youtube Video’s . My hard work payed good dividend . 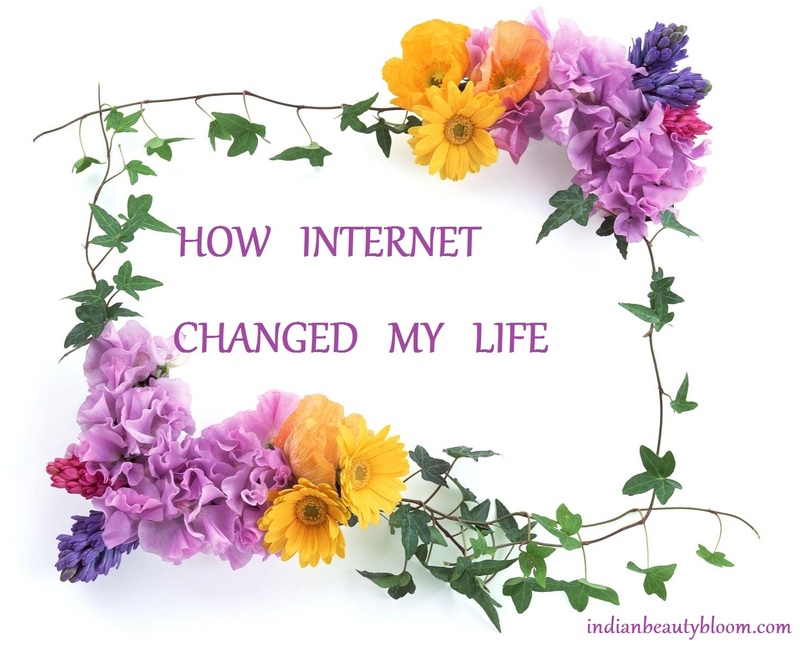 I became bit famous on social media and people started knowing me as a blogger . That gave a feeling of happiness and positivity . Now I visit malls & Stores if required or else happy with my online shopping . Another thing which I would like to mention is Winning Contests & Giveaways. So Being on net also gives an opportunity to win some good prizes and be happy . So these are the major changes in my life after I became active on net and social media . All good and positive ones . The only thing I dislike is some people do get addicted to net and give less time to their near and dear ones and that’s so annoying . So what we need is a Perfect Balance . and should not be repurposed , republished or used otherwise. The content herein is owned by the blogger and Super blogger challenge is not responsible for any sort of infringement caused.